I'm a game developer and this is my blog. 1 – You either are, or you aren’t. People can go and , “I’m an aspiring indie game developer”. You are either doing games or not, period. If you are starting in development with your own money then you are one. 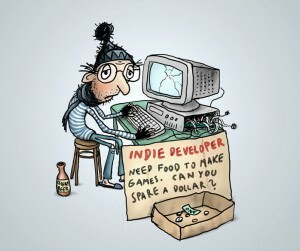 People tend to think they are indie developers when money starts rolling in, well think again, cause money may never come. 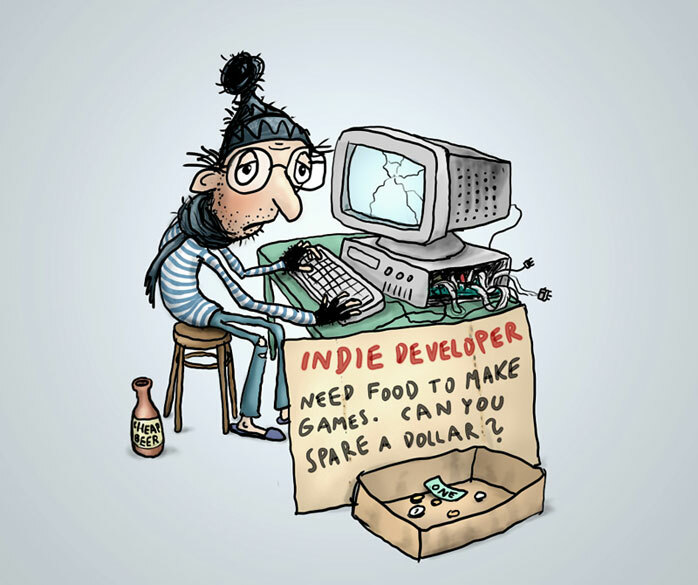 There’s not a safe path on becoming a successful indie developer. It’s not like following another’s path will get you there. That’s why giving advices is just that, it might work or not. We see it everywhere, indie bundles, pay what you want, fremium games, games at $1, the ones who made money with those models are leaving behind a bad legacy and an audience that doesn’t want to pay much. You should actually be working instead of reading this. … to know why they matter. Yet many think it’s all it takes, I’m good at playing thus I must be good at making them. You should however play critically, that is the key. ..can be like rowing a boat with just one paddle. …can be like two people on a bike, one steering and another one pedaling. Out of nothing this indie developer! Overnight success! Million-dollar! And you think, “I can do that”. Yeah, except, those who are “overnight successes,” rarely appear out of nowhere. Minecraft? That dude’s been working in games for years. Super Meat Boy? I bet Edmund made over 30 games till now. They just stayed in obscurity for years. Work matters. This one’s hard especially if you think your game is great and the first comment is “This is sh**”. Learn from mistakes and do it again, but better. …and you will shoot fire from your eyes to whoever says otherwise. …are mostly lying, they think you’re lazy and can’t get a real job. …that you get your act together and apply for IBM or Microsoft, cause that’s where the money is. …when someone asks you what you do for a living. It would be the first thing said if you were a Doctor.